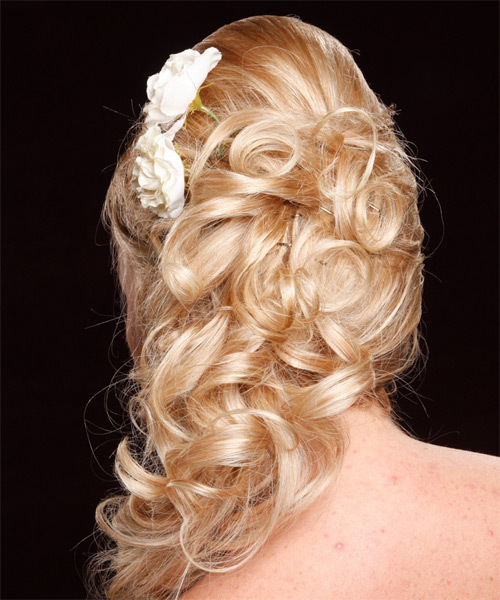 Curly hair is considered to be very feminine and soft and thus is a preferred hairstyle when it comes to events like prom. Curly hair can be styled in many ways with popular fashions including side swept hair held in place with a hair pin or clip and hair tied into a casual ponytail. You can also try a stylish up-do, a low hanging bun or a chignon for styling your hair. Adding accessories like hair barrettes, hair clips and fascinators can jazz up your look for the special evening. Misting or spraying your hair with dry shampoo helps in creating volume if you have thin hair while spraying with light-hold hairspray can hold your hair in a certain position with a certain style.